Business owners and executives make decisions; these decisions have major consequences for business outcomes. Paradigm shifts, unforeseen business conditions, and difficult employees are among the challenges facing executive staff members. Top level managers must have the tools they need to lead. 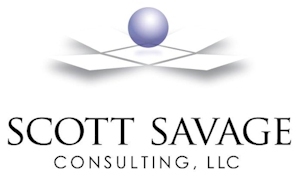 Whether the organization needs to groom a new leader for greater responsibilities, acclimate a new hire into the organizational culture, or re-equip a seasoned executive to facilitate necessary changes, Scott will help attain the objectives. During the initial meeting, the organization’s desired outcomes and expectations will be clarified. Following this meeting, data will be collected and analyzed to explore opportunities that will move towards the establishment of collaborative goals. The next phase, which typically lasts nine to eighteen months, involves development and implementation of a plan to address these goals. During this time, periodic meetings will identify the client’s patterns that contribute to success and failure. The client will learn how to boost the success patterns with new skills and abilities and reduce or eliminate the patterns that contribute to failure.